With airline consolidation and the dominance of the hub-and-spoke route network system in the U.S., new airlines entering the market seem few and far between. The ones that do sprout up, often seeking to fill the gaps left by the current model, need to be unique in order to draw in the public and persuade them to ditch the legacy carriers. 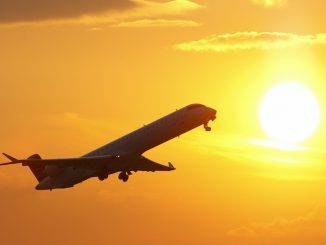 Despite the high bar to entry and a seemingly-saturated industry, one entrepreneur decided to take on the modern-day airline industry with a unique business model aimed at attracting the top spenders in air travel: business travelers. Julia Takeda founded Fly Louie in 2017, with its first full season of service a year later in 2018, and what makes her airline unique is that it doesn’t operate any aircraft but provides a service unmatched by anything currently offered by major carriers. So how does an airline with no aircraft manage to fly while providing an incredibly unique experience? Through an operating model that is little-known to or understood by even the most frequent of flyers, public charter. Private aviation has long been reserved for the upper echelon of society. At a cost of thousands of dollars even for a short 30-minute flight, private travel is a reality for CEOs, celebrities and the like while only a dream for the average commercial traveler. Whereas airlines charge a flat rate to fly, barring any ancillaries, private charter passengers get billed a premium for every aspect of their flight including flight time, fuel costs and private terminal fees, among others, making it too costly for the average traveler. 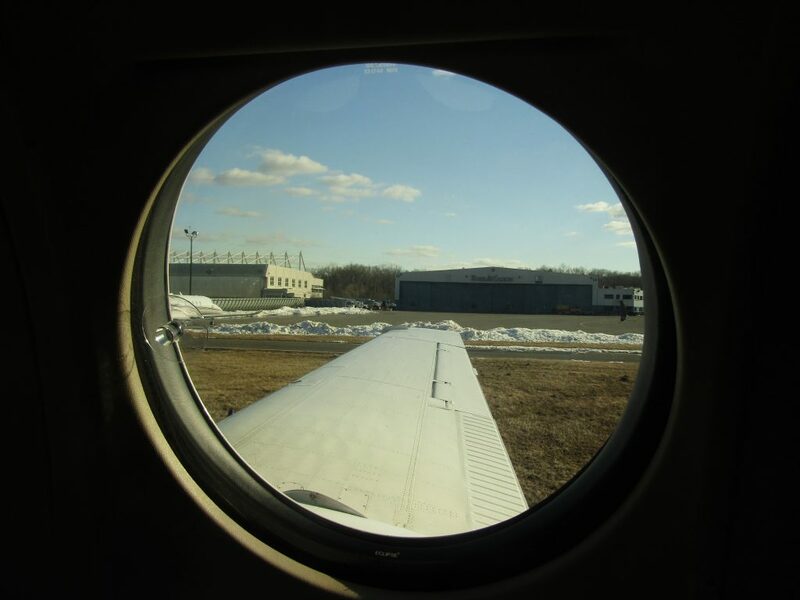 The past decade, however, has seen private aviation being open to a larger segment of the public thanks to a business model called public charter. 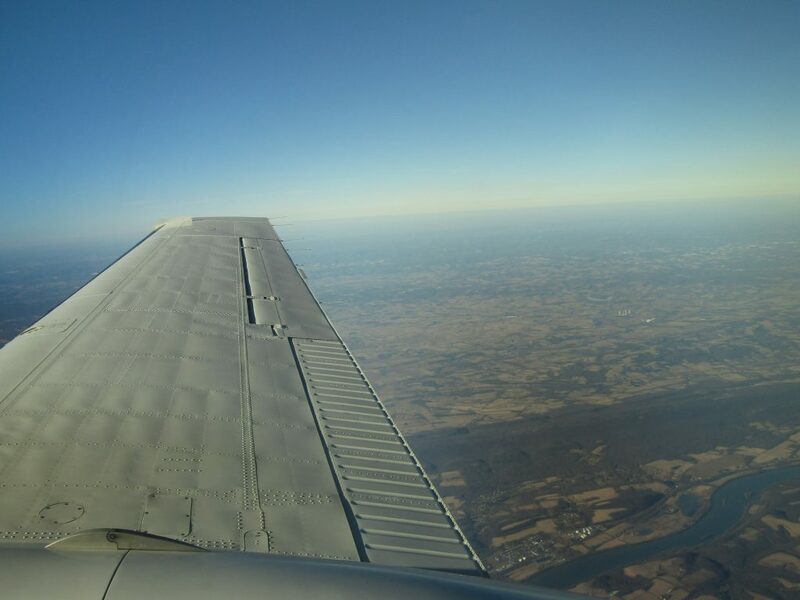 Operating under Part 135 of Federal Aviation Regulations, aircraft operators are often constrained in how many scheduled flights they can operate in a given week and reluctant to take on the risk of marketing and fulfilling individual seats. The U.S. Department of Transportation recognizes indirect air carriers (Part 380 public charterers) who charter flights and then re-sell them by the seat to the general public. Marketing and selling the seat rather than the entire aircraft, in turn, lowers the cost of entry for an individual passenger. As a public charter operator, Fly Louie can charter private aircraft from any Part 135 aircraft operator and sell the seats onboard the aircraft individually just as a regular airline does. The trend first started with companies such as JetSmarter who sought to revolutionize private travel with a simple business model, purchasing empty legs on private aircraft at discounted rates and reselling the seats in a membership-based program. Some flights were even completely free for members. With JetSmarter, however, flights were operated based on the availability of empty legs with no set schedule except for shuttle flights from Teterboro Airport in New Jersey to Washington Dulles International Airport in Virginia. As JetSmarter’s popularity grew, other companies began to follow suit and started selling seats on chartered aircraft at deeply discounted rates as opposed to chartering the aircraft outright. 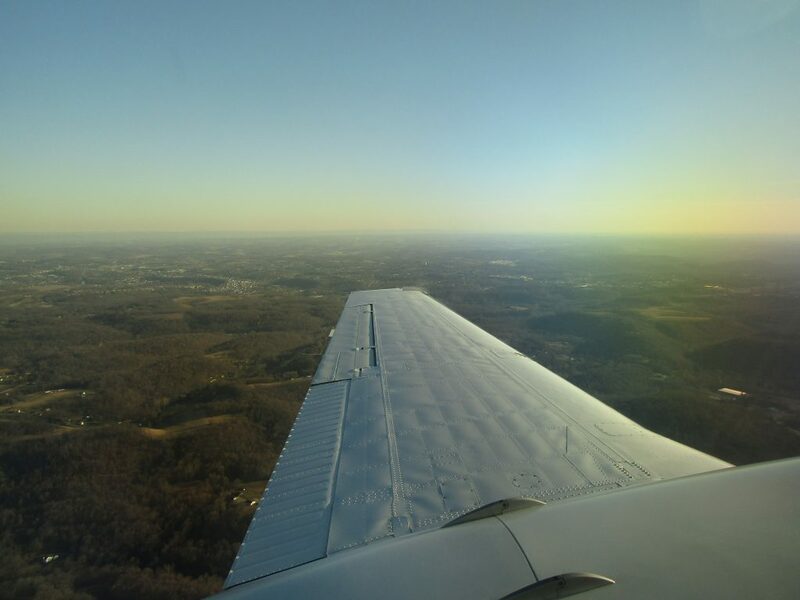 By decreasing the cost to fly on a private aircraft, albeit with other passengers, private aviation was being opened to a new segment of the public to which it was previously unavailable. 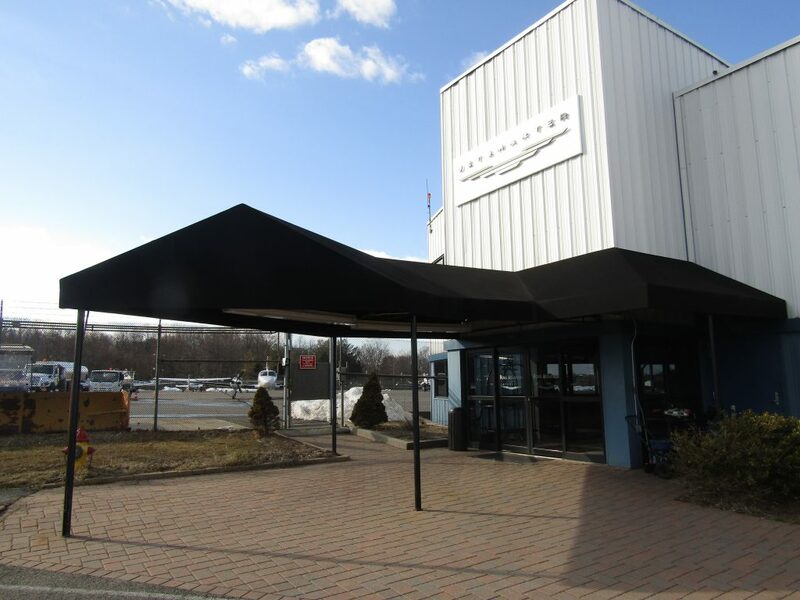 The Northeast quickly grew to become a hotspot for private shuttles, with aircraft operators such as Tradewind Aviation and others selling individual seats on their aircraft on a scheduled basis. Public charters became available across the country, but the Northeast proved to be a top market thanks to the numerous major cities of the Northeast Corridor all within a short distance of each other and to getaway spots such as the Massachusetts islands off Cape Cod and the Hamptons. Fly Louie began operations in 2017 with a single route from White Plains, N.Y. to Nantucket, Mass. The popularity of the Massachusetts Islands among the New York upper class, especially in the summer season, made the destination an easy first choice for the airline. Fly Louie wasn’t the only carrier flying the route, even on private aircraft. Several operators including airlines and Part 135 operators already flying between New York and Nantucket put the onus on Fly Louie to stand out in what appeared to be an already saturated market. The demand for the service was confirmed in just the third month of summer 2018 operations when the airline broke even. According to Takeda, Fly Louie was able to compete in the already crowded market through competitive pricing, hands-on customer service and reliability. Nantucket, however, is only a popular destination worthy of the service in the summer and fall, definitely not during the harsh winters the island sees. The need to expand was quickly realized if the company was going to be a year-round operation. Private shuttles from New York were limited beyond the Islands, with routes mainly to Boston and Washington served by a handful of public charter operators, leaving the airline to decide which city under 2 hours from New York would be the best place to expand to. It was just a few months ago that Fly Louie announced Pittsburgh as its second destination from White Plains. 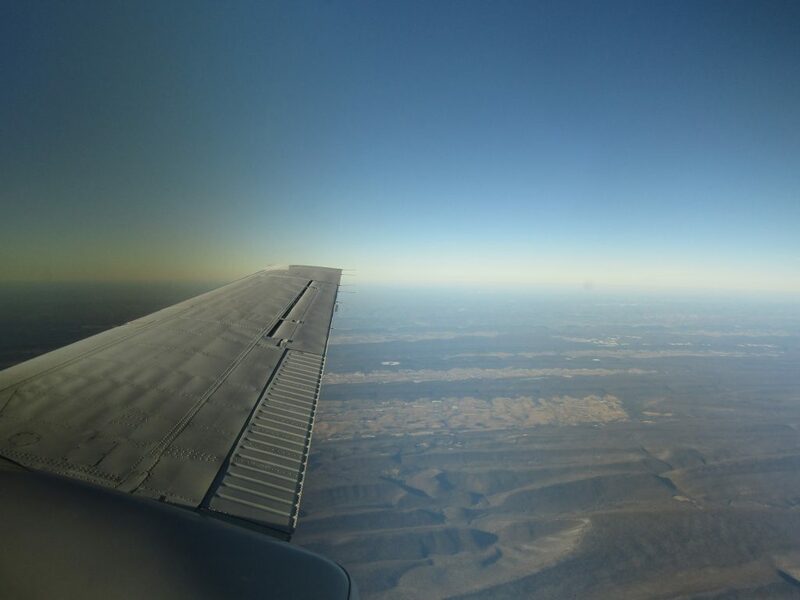 Starting Jan. 7, 2019, Fly Louie began service between Westchester County Airport and Allegheny County Airport just south of Pittsburgh, a convenient alternative to Pittsburgh International Airport. The reasoning for deciding to serve Pittsburgh: data analysis. Although not technically part of the bustling and business-oriented Northeast Corridor, the decision to serve Pittsburgh was helped along by Fly Louie’s Chief Operating Officer Eytan Kurshan. A former JetBlue analyst and manager in route planning and revenue, Kurshan used his experience at JetBlue to steer Fly Louie in the direction of Pittsburgh. Fly Louie’s founder and CEO, Julia Takeda, isn’t your typical airline tycoon or AvGeek. A Tufts grad with a true entrepreneurial spirit, aviation was one of the last places her job history would indicate that she’d wind up. According to her LinkedIn profile, the International Relations and Communications student served as a senior vice president to a New York investment firm following a stint at Court TV. Following the sale of that group’s education group, Takeda stayed on for a year as part of the transition team and then went to Columbia Business School, where she founded Fly Louie. So, what prompted Takeda, a Westchester County native, to start her own airline and one that would use this unique strategy? Her own experience with air travel. Like many, Takeda was fed up with modern-day air travel and did what an entrepreneur does best, created a product offering a better alternative. Analyzing the charter industry, Takeda saw that despite having a robust private aviation sector with over 10,000 private aircraft available for charter in the U.S., the market was highly fragmented and small-scale operators often didn’t have the scale to market their aircraft to a broad pool of customers. On the customer side, many business and wealthy travelers are finding themselves in a middle ground when it comes to travel. They can afford to fly first class or at least the discounted price of an upgrade at check-in, but not to fly private. Additionally, if traveling for business, the company would be footing the bill and the traveler has greater flexibility. 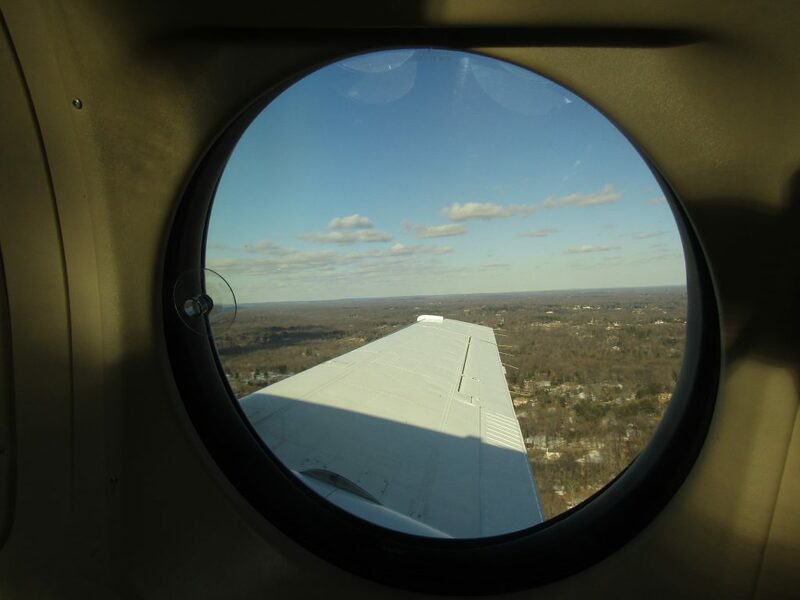 The goal of Fly Louie then was simple, use the public charter model to connect those small-scale operators with the travelers who are willing or able to pay more for their flights without having to charter an aircraft outright. Taking it a step further, Fly Louie also sought to take aim at the hub-and-spoke system by filling in the gaps on underserved routes that have been casualties of hub-and-spoke. The strategy is not new as point-to-point routes have been hugely successful in Europe and are growing in prominence in the U.S. Existing airlines such as Frontier Airlines and future airlines such as David Neeleman’s Moxy are largely adopting point-to-point to directly meet the needs of consumers instead of routing them through hubs and adding travel time. The airline isn’t yet on distribution platforms such as Google Flights and Kayak.com, where Allegheny County Airport doesn’t even come up as a destination, leaving it out of the hundreds of flight searches a day from New York to Pittsburgh. Fortunately, Takeda has said that problem will be solved within the next month or so. Moving from solely serving the popular summer destination of Nantucket to also serving a major city would see its own difficulties. Clearly, the two cities have different target markets with Nantucket being a leisure destination and Pittsburgh being a business-oriented destination. Despite the short flight times on routes between major cities such as New York and Pittsburgh, more time is usually spent getting to one’s flight than the flight itself. As is the case for regional air travel where the destination is less than 250 nautical miles away, flying is more of a hassle than a godsend. While flying from New York City to Pittsburgh may only take an hour once in the air, the entire journey takes around 4 times as long. When originating in New York City, one still needs to get to the airport at journey time of around 30 minutes depending on traffic, arrive at the recommended 90 minutes early to clear security, fly the hour-long flight plus the extra 40 minutes for boarding, taxiing and disembarking and then take a 40-minute taxi ride to downtown Pittsburgh. When 4 hours is the best-case scenario for opting to fly commercial, barring any delay, offering an alternative that saves up to 2 hours each way is a clear advantage. Unlike the major cities along the Northeast Corridor, Pittsburgh isn’t connected by the high-speed Acela Express train meaning that ground transportation is limited and air travel can still dominate as the primary means of transportation for business travel, though it isn’t perfect. Currently, the Steel City is served by the big three: United Airlines, American Airlines and Delta Air Lines from all three New York area airports. The service, however, is primarily offered by their regional brands on aircraft with less than 100 seats. 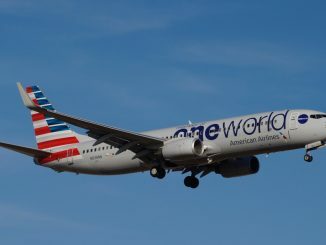 The city is historically underserved, following the departure of US Airways in the early 2000s, and is typically expensive to fly to from New York unless on an onward connection. Same day roundtrips, ideal with business travelers, hover around $370 if booked far enough in advance, despite the short distance. As business travel is often booked last minute or within a week of travel, those prices can skyrocket to near $1,000. 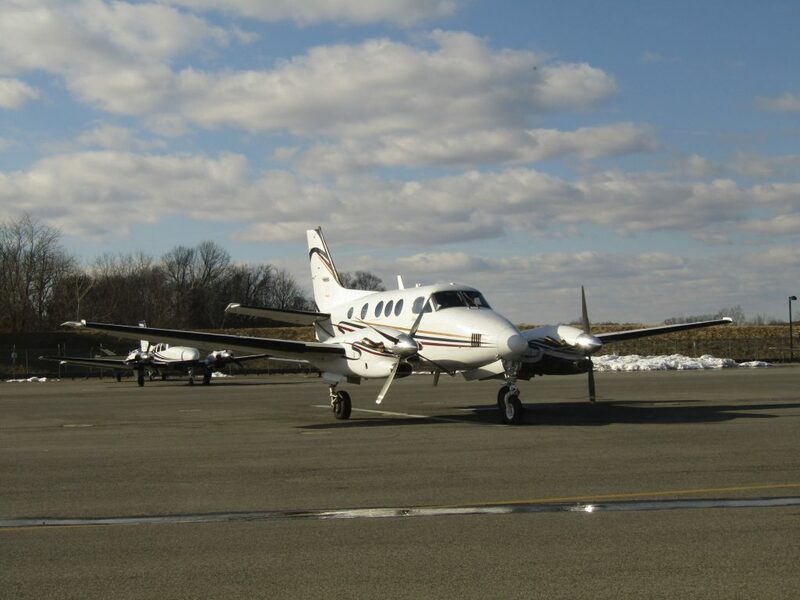 Through serving the city, Fly Louie became the only airline to do so from White Plains, which sees only a handful of commercial service and the first public charter operator to do so. 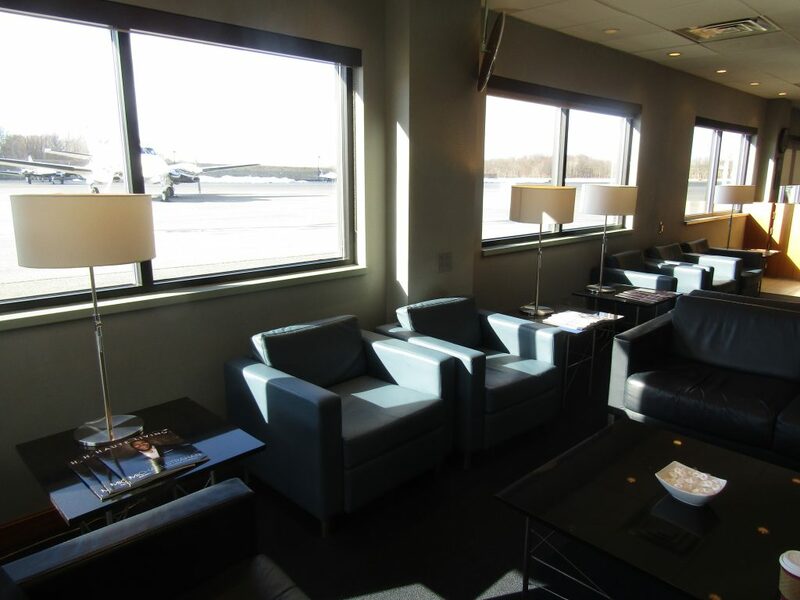 The advantage over the majors was clear: avoid the hassle of JFK, LaGuardia and Newark, as well as Pittsburgh International Airport, while flying on a private aircraft better than first class on a regional jet. Focusing mainly on the Pittsburgh side of the route in her marketing efforts, Takeda has been back and forth between the Big Apple and the Steel City to sell Pittsburgh businesses on the airline. The key targets are businesses with offices in both cities that employees who travel between regularly. Law firms, accounting firms and other firms with offices on both sides of the route are who Takeda has been courting since the route’s inception. Marketing the start-up airline has also been focused on Pittsburgh. Driving up to White Plains, one won’t see a Fly Louie billboard on I-95 but will see the Fly Louie name at sponsored events in Pittsburgh. 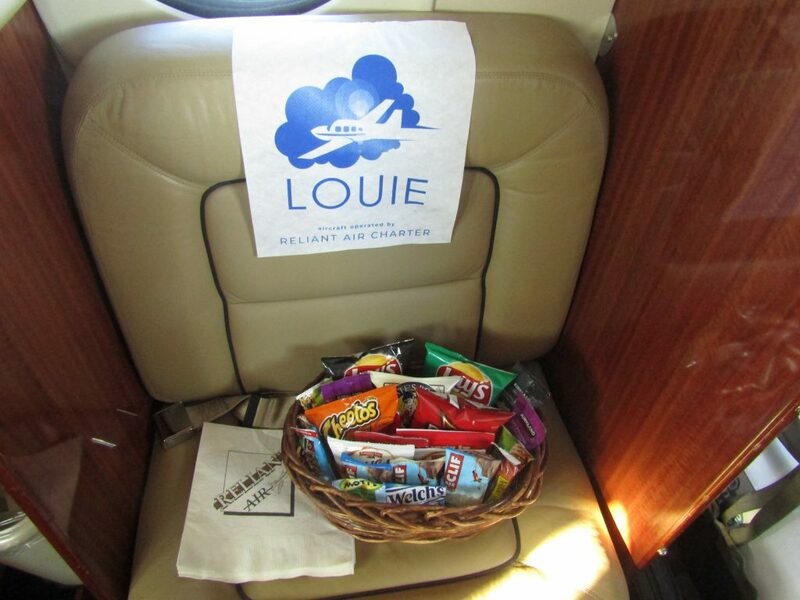 The airline also partners with local businesses in Pittsburgh, including local breweries whose beverages can be found on Fly Louie flights, to promote the airline. 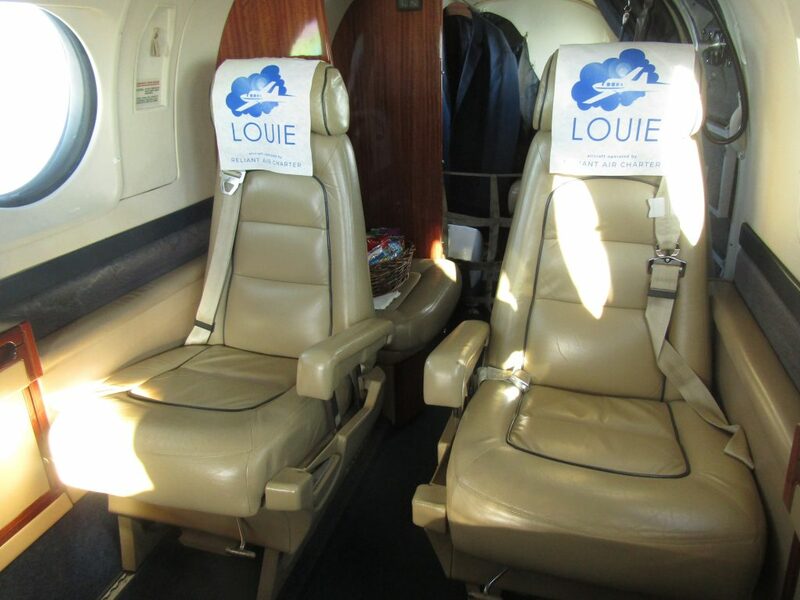 The benefits of flying on a private aircraft over a commercial flight are the main selling points for Fly Louie. As commercial air travel is becoming more and more of a hassle with security checkpoints, increased ancillary fees, long walks through sprawling terminal buildings and seemingly endless lines, among others, it’s not hard to sell someone on the prospect of avoiding all of that, despite the premium. One of the main benefits of flying private is avoiding the congested major airports in a city and using the less-crowded and more easily accessible executive airports. 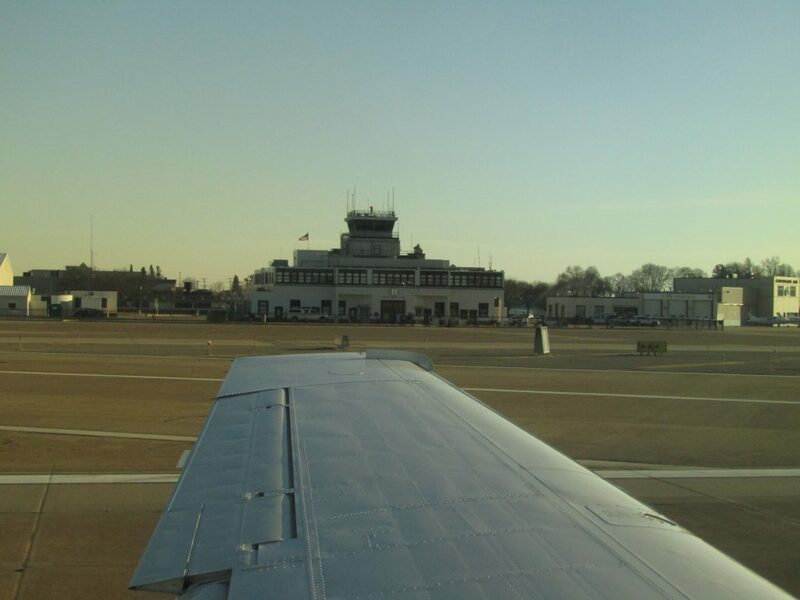 For every major airport, there is at least one executive airport, with most major cities having two. New York has Teterboro and White Plains, Miami has Opa Locka and Tamiami, Los Angeles has Van Nuys and Burbank and the list goes on. 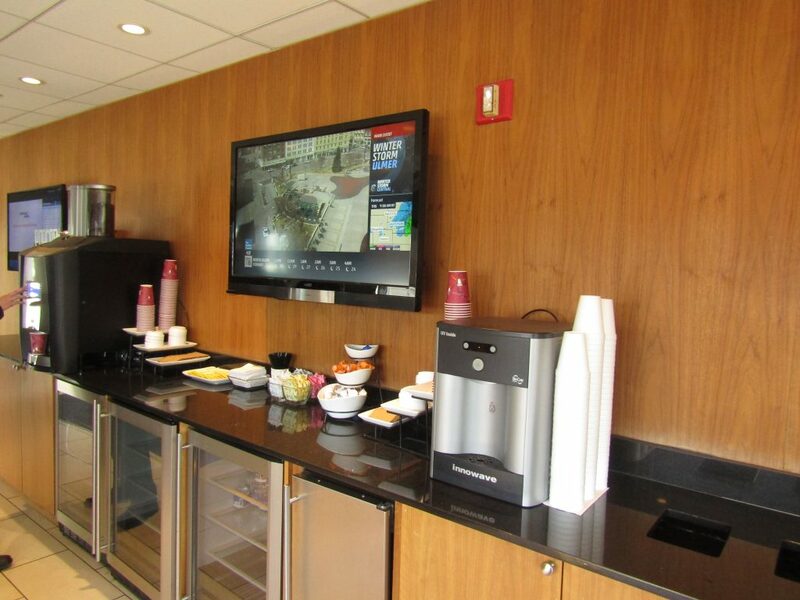 In addition to operating out of executive airports, Fly Louie operates all its flights out of fixed-base operators (FBO), which are essentially private terminals, which offer enhanced amenities such as luxurious seating areas and complimentary snacks and beverages. 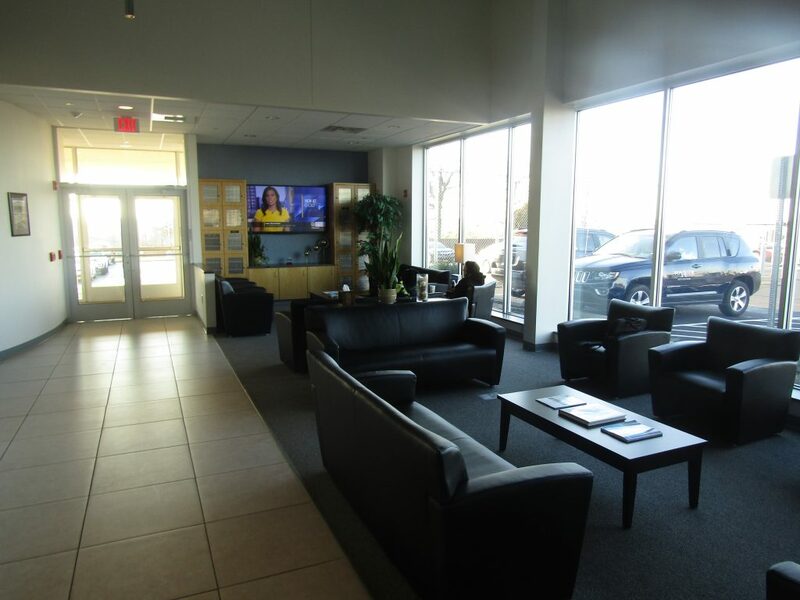 Flying out of FBOs on private aircraft also means no security checkpoints, no long walks through crowded terminals and no lines for nearly anything, plus free on-site parking. 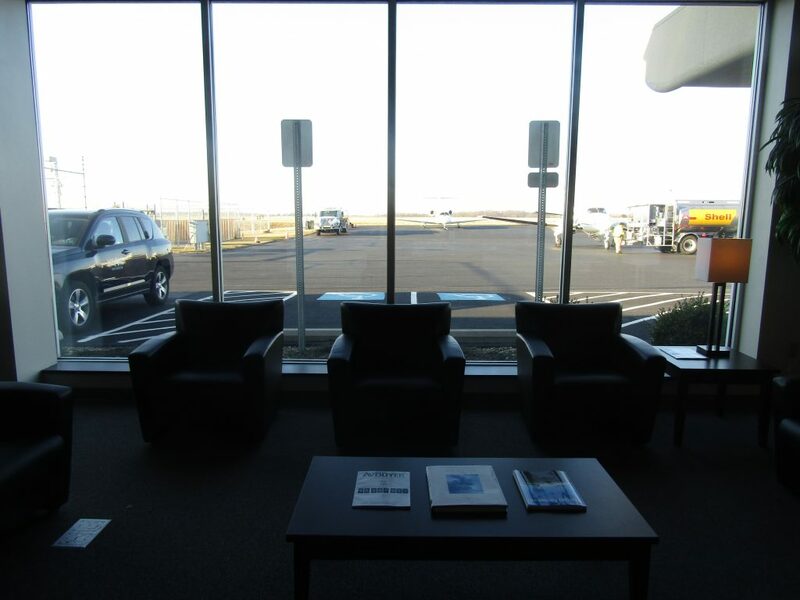 Since private terminals don’t require security, depending on the destination, a passenger can go from their car to their aircraft in less than 5 minutes. With Fly Louie, the process is a little different, but no less convenient. 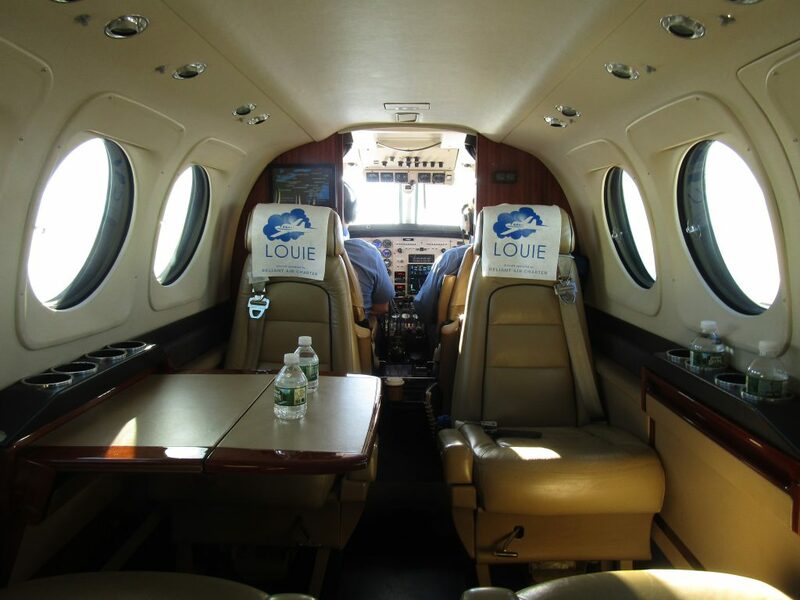 All the benefits offered to private charter passengers are offered to Fly Louie’s public charter passengers, although one will still need to wait until all the other passengers on the flight arrive before one can depart. Though, if everybody shows up early, one can board and depart early as private aircraft aren’t bound by set departure times. Fly Louie is not an aircraft operator and outsources all its flights to operators based in the Northeast. The aircraft of choice for the airline is the Beechcraft King Air and Pilatus PC-12 turboprops, staples of short-haul private aviation that combine luxury with versatility. 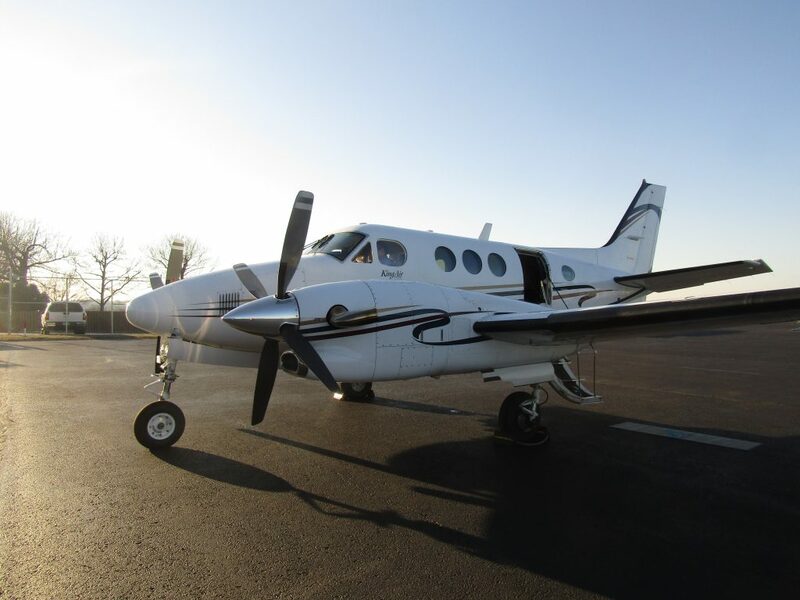 For the King Air, Fly Louie’s main operators are Danbury-based Reliant Air and Syracuse-based Altius Air while the PC-12s are exclusively from Altius, even though the airline can recruit any operator to fly its services. 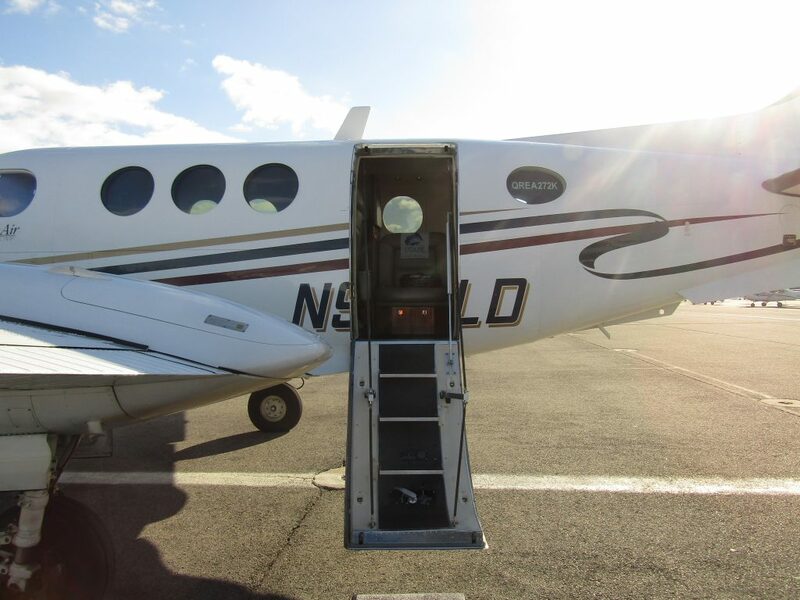 When demand is high Fly Louie can use a larger King Air variant, such as the 8-seat King Air 350, and when demand is low, a 6-seat King Air C90 can be used, providing both are available. All the aircraft feature leather seats, each with shared large tables to do work on, play cards on or to take advantage of the aircraft’s complimentary snacks and beverages on. Despite being a public charter, the aircraft are no different than if they were privately charted by the CEO of a multi-national corporation. The strategy, so far, appears to be working with Takeda reporting 98 percent of her passengers rating the airline positively when taking a post-flight survey. 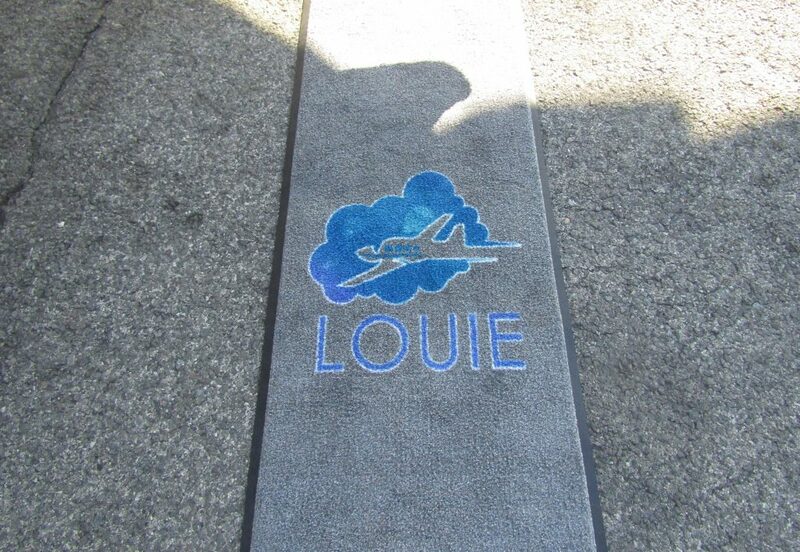 Additionally, Fly Louie can boast a 100 percent dispatch rate for all its flights, which airlines typically cannot do. 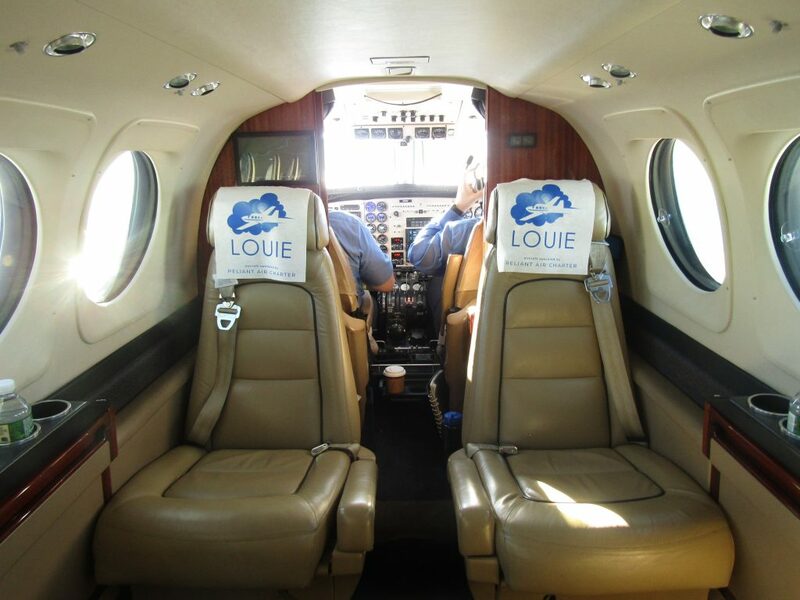 Having never flown on a private aircraft for more than 10-minutes, I was very eager to experience Fly Louie on what would be an hour and 20-minute flight to Pittsburgh. 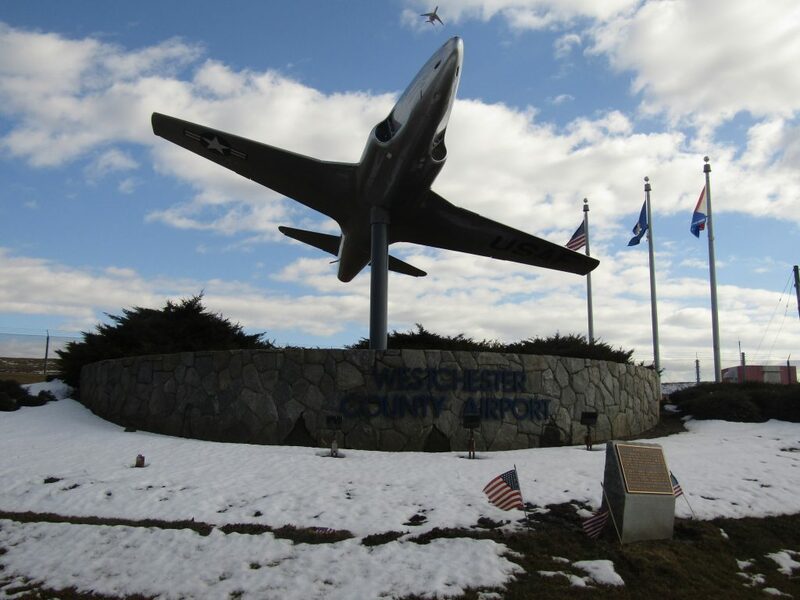 This was also my first time flying out of Westchester County Airport near White Plains, despite being just an hour from my house on Long Island. The schedule of the airline varies, with same day roundtrips offered every day although at varying times of day with peak days seeing double daily service. I chose to fly on a Tuesday, a day the airline only operates one roundtrip. My trip would see me depart from White Plains, fly to Pittsburgh and be back in White Plains within 3 hours. Booking a flight on Fly Louie is similar to any other airline, though one will be asked for one’s weight when booking due to weight and balance considerations on the turboprop aircraft. The major difference, as opposed to the major carriers, is that Fly Louie doesn’t charge any ancillaries for anything. Checked and carry-on baggage? Free of charge. 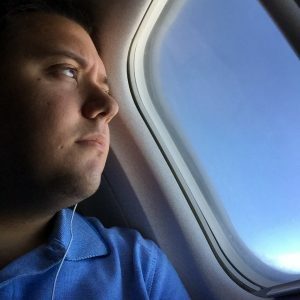 Date and name changes? Free of charge. Calling to make a booking? Free of charge (and one might find one’s self be speaking to Fly Louie’s CEO on the other end). I arrived at Westchester County Airport with a half hour to spare and was still 15 minutes early. The drive to the airport was unlike any other I’ve made to catch an airline flight since I was flying out of a private terminal. 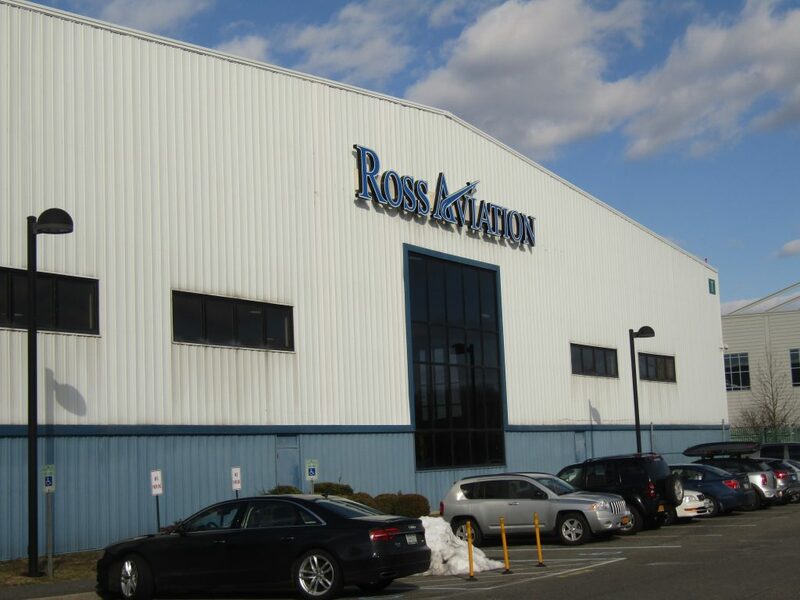 Ross Aviation East is Fly Louie’s preferred FBO in White Plains, accessible only by an idyllic two-lane route, on the opposite side of the airfield from the busier and larger commercial terminal. 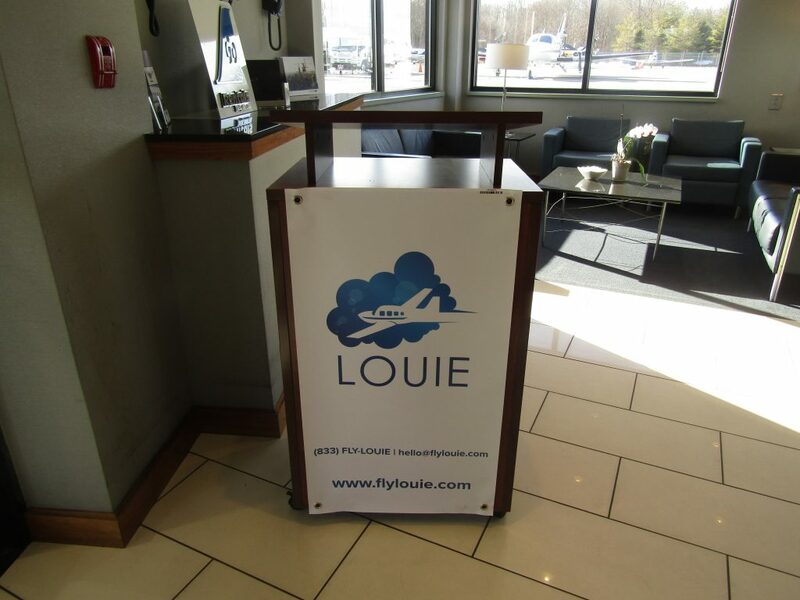 Upon walking into the FBO, I was greeted by a Fly Louie representative who checked me in using a clipboard, not a kiosk. There’s no need to check-in 24 hours in advance or visit a kiosk for a boarding pass. The friendly representative also gave me a Fly Louie branded luggage tag and mints, part of the airline’s marketing scheme. Immediately after checking in, the captain of my flight came over and introduced himself along with the co-pilot. After telling me I was the only passenger scheduled to be onboard, the captain offered to depart as soon as I was ready. After countless flights spanning more than a decade, that question had never before been asked to me. Seeing no reason to say no, I was immediately escorted to the aircraft that was waiting just steps from the FBO lobby. It took me maybe 5 minutes to go from parking my car in the Ross Aviation East parking lot, complimentary for Fly Louie passengers, to sitting onboard the aircraft waiting to depart. The aircraft for the day was N969LD, a Reliant Air-operated Beechcraft King Air C90, one of the smallest in the King Air fleet which Fly Louie uses when demand for the day’s flights are low. 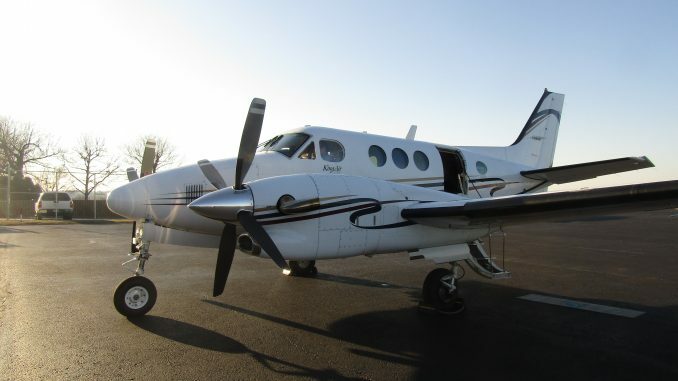 When demand is high, larger King Airs can be used, such as the King Air 350 which seats eight. 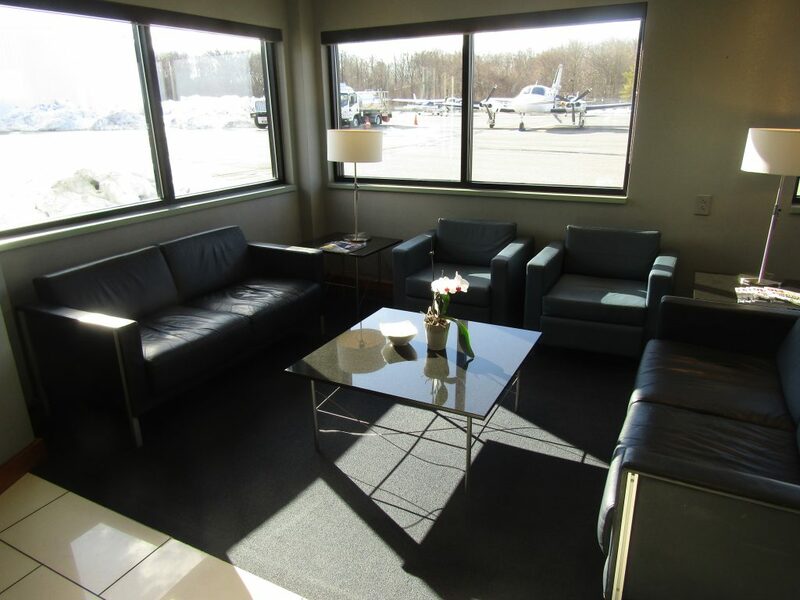 Seating is first-come-first-serve, though no seat is a bad seat when flying on a private aircraft. and bottles of water were placed at each seat, fitted with Fly Louie headrest covers. The layout is four executive seats in the center of the aircraft with two smaller seats towards the rear. While the captain was going through the pre-start checklist, the co-pilot was giving me the safety instructions. In a great show of efficiency and expediency, the engines were started before the co-pilot even finished the safety brief and the plane didn’t even rattle. Moments later, once the co-pilot was strapped in, we were off to the races. A brief taxi later, we were lining up to depart on Runway 32 behind an arriving American Eagle Bombardier CRJ-200. 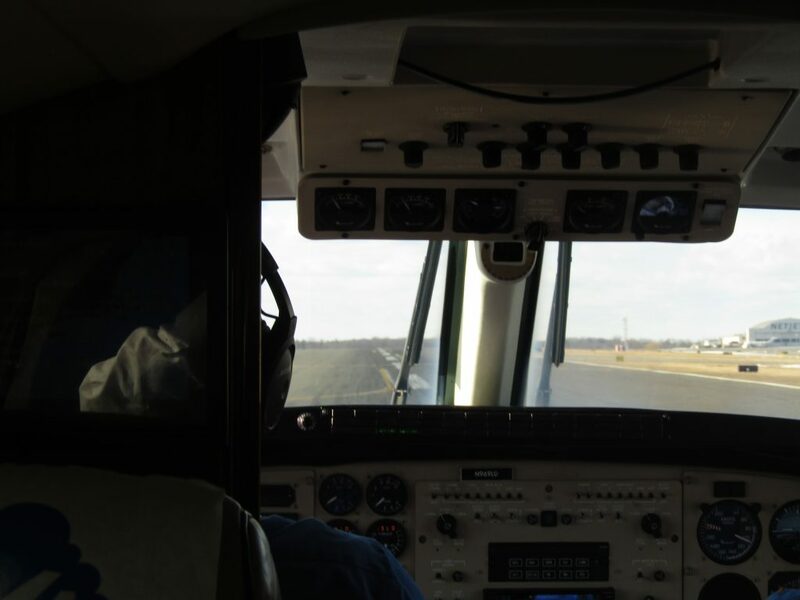 Although initially nervous to be flying on a small aircraft, I was calmed by the smooth takeoff and the fact that I could see into the cockpit and out of the front window. The next thing I knew, we were in the air. 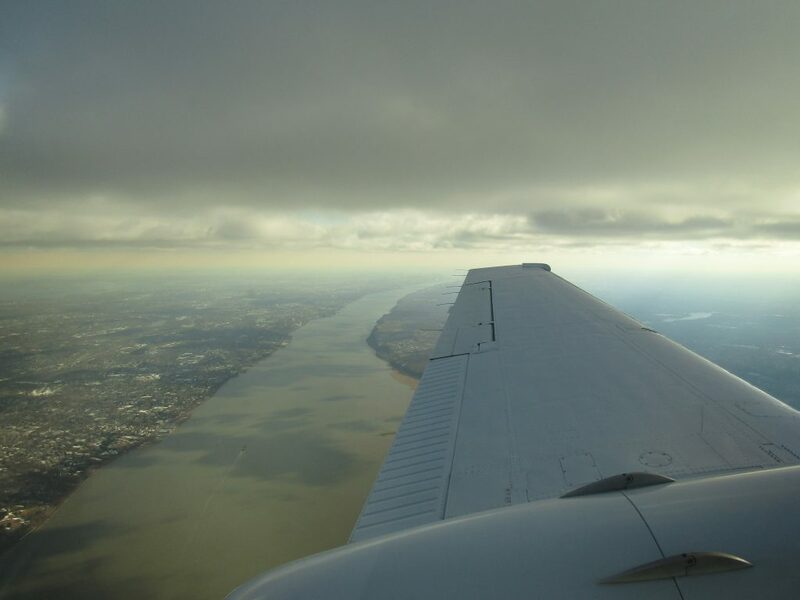 Another benefit of a public charter on private aircraft is the option to fly under visual flight rules (VFR) when the weather cooperates. 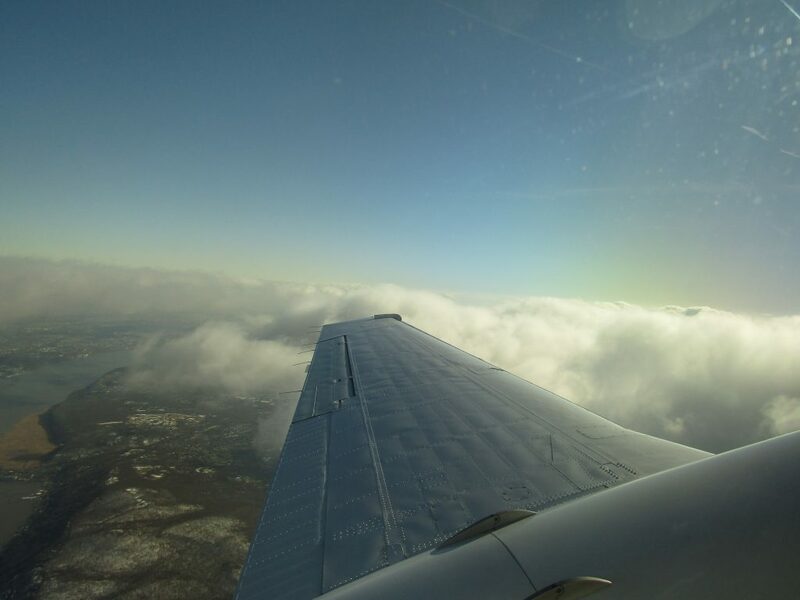 Flying under VFR enables the pilots to fly on a direct or near-direct routing as opposed to instrument flight rules (IFR) flying that requires following a pre-approved and often indirect route. The straight-line VFR route from Westchester County Airport to Allegheny County Airport is 287 nautical miles while the IFR routing is 307, a 20 nautical mile difference. Though flying VFR, the pilots maintained flight following with air traffic control so we did have some assistance when in the air. Immediately after departure, we made a left hand turn direct to Allegheny County and climbed up to 16,500 feet, dodging the few scattered clouds along the way as we climbed above them. The view out of the window was simply stunning, New York City lay just over 20 miles south from White Plains with all of the skyscrapers clearly visible. Within minutes, we had crossed the Hudson and began to cut across New Jersey and Pennsylvania en route to Pittsburgh. The seat belt sign was turned off rather quickly, though there was no place to move about to besides the snack bin as there’s no lavatory on the aircraft. Having the aircraft to myself, I was able to test out each seat. Surprisingly enough, the seats had moveable armrests and even reclined. Pulling out the table, I was able to easily fit my oversized laptop and work on it no problem, though the view outside the window was quite distracting. 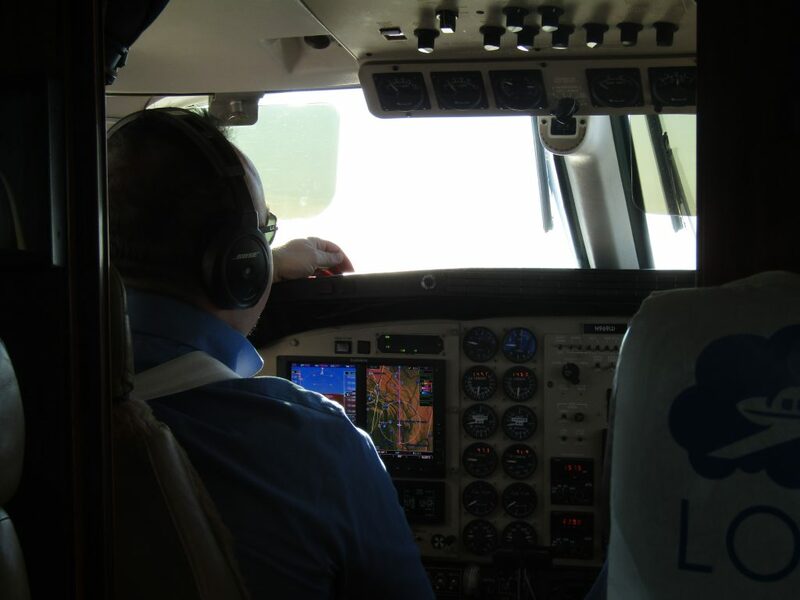 Although we were at 16,500 feet, the cabin temperature remained comfortable and we were pressurized down to 4,000 feet. The cabin was quite loud due to the engines being right outside the window so I’d advise noise-canceling headphones. There’s no WiFi onboard and using cellular service is prohibited, but the view should be entertaining enough. This is one of the few flights where one can look out of the cockpit window and actually watch the pilots fly the plane, which shouldn’t be taken for granted. Despite the scores of windows every commercial airliner has, the ones that are the most restricted are the ones facing forward. The flight itself is actually very basic, despite all the luxury. Entertainment is at one’s own discretion with no seatback or dropdown screens to play a movie. As we found out when flying Cape Air last year, its flights like these that really make one appreciate the miracle of flight. Soaring high above Poconos at around 250 knots with nobody else around me, it was hard to believe I was flying on a scheduled airline service. Despite the fact it was a public charter, it was still a private aircraft experience for a fraction of the cost while retaining all of the luxuries. Although I was glad to be the only one onboard, it was a bit disconcerting as the airline was clearly losing money on this flight. 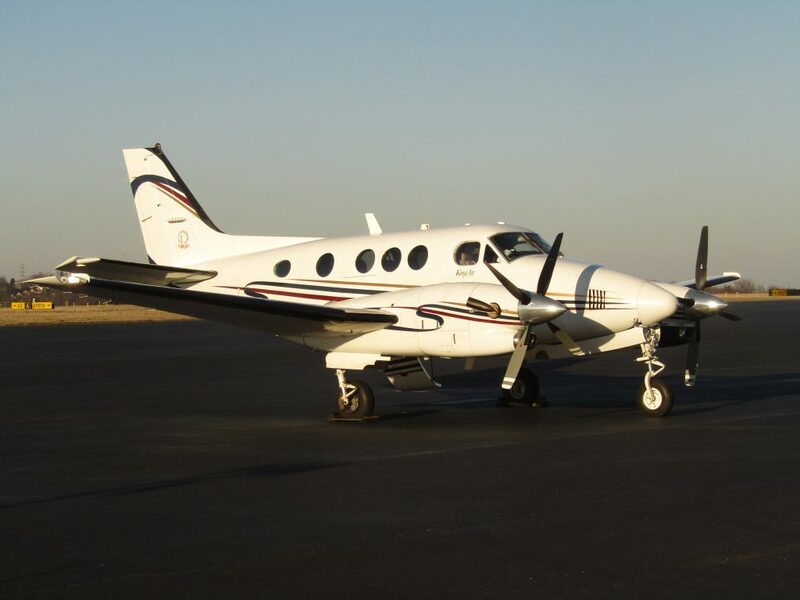 A one-hour and 30-minute flight on a King Air can easily run $2,500, though it’s not clear if the operators give Fly Louie a volume discount for repeatedly booking their aircraft. Public charters have the same problem as airliners where if even one person buys a ticket, the plane must go as it has a responsibility to the passenger and the aircraft itself has subsequent flights it must operate. If I wasn’t onboard the White Plains-Pittsburgh leg, the aircraft would’ve gone straight to Pittsburgh, flying empty with the sole purpose of picking up the one passenger heading back. 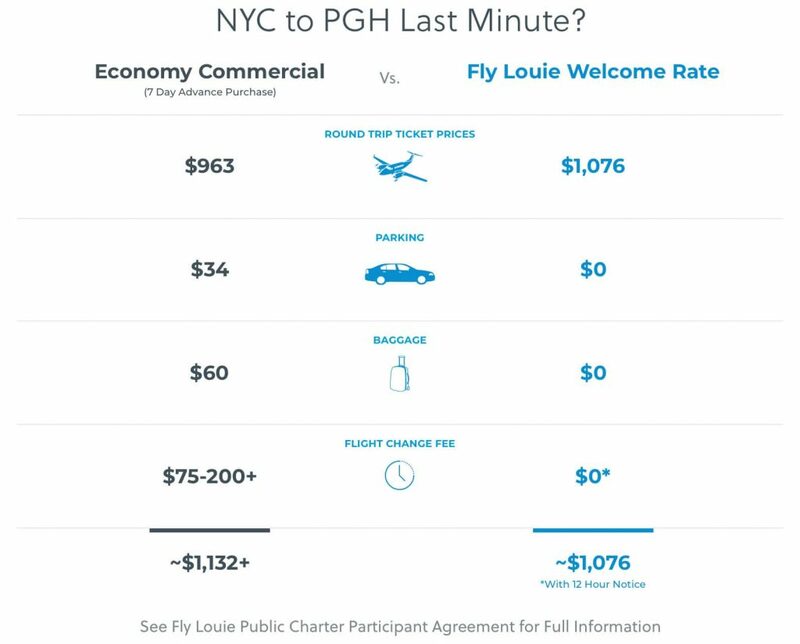 While I’m not privy to the airline’s contract with its carriers, I doubt Fly Louie would be refunded 100 percent if nobody decides to show up at all and the aircraft didn’t fly. After all, the operator could’ve turned down other opportunities when they committed to flying this route on this particular day. After an hour and 20 minutes of pure flying joy, it was time to land in Pittsburgh. 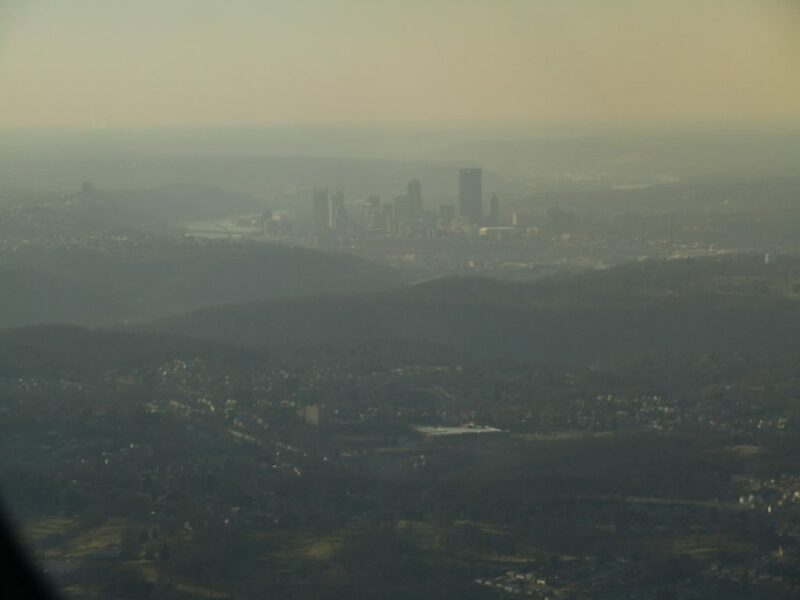 Descending into Allegheny County Airport, the city of Pittsburgh was visible just outside the window. As we approached the runway, I was shocked at how quickly the flight had gone. This was one of the rare flights where you want the flight time to be longer so you can continue enjoying the experience. 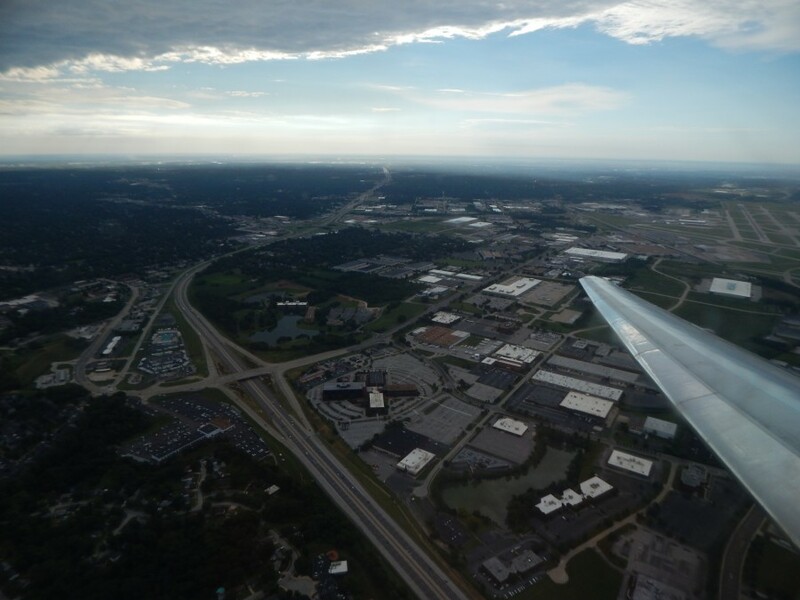 After a smooth landing, we didn’t have to worry about taxiing all over the airport to our gate as the airport is a tenth of the size of large commercial airports. 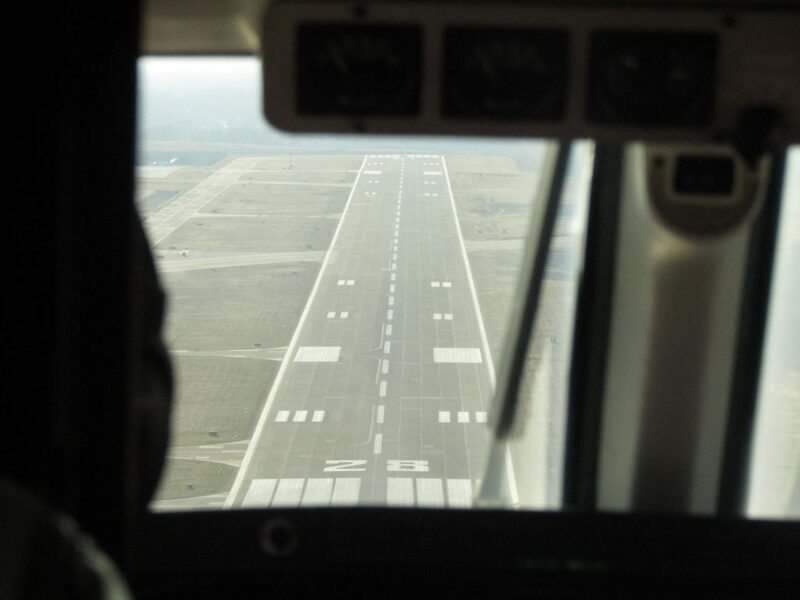 There were no other runways to cross or planes to wait behind, just a smooth taxi without stopping once until we arrived at the FBO. 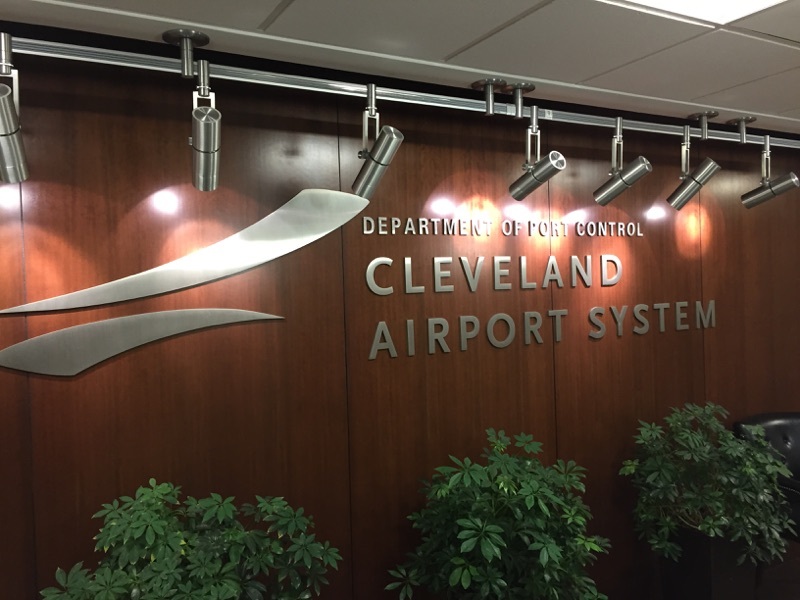 Allegheny County Airport is less than 20 minutes by car from downtown Pittsburgh, making it ideal for business travelers. After touching down, it was a quick 2-minute taxi straight into the Voyager FBO on the west side of the airfield. Once the engines stopped, it less than 2 minutes from being on the plane to in the parking lot of the FBO. 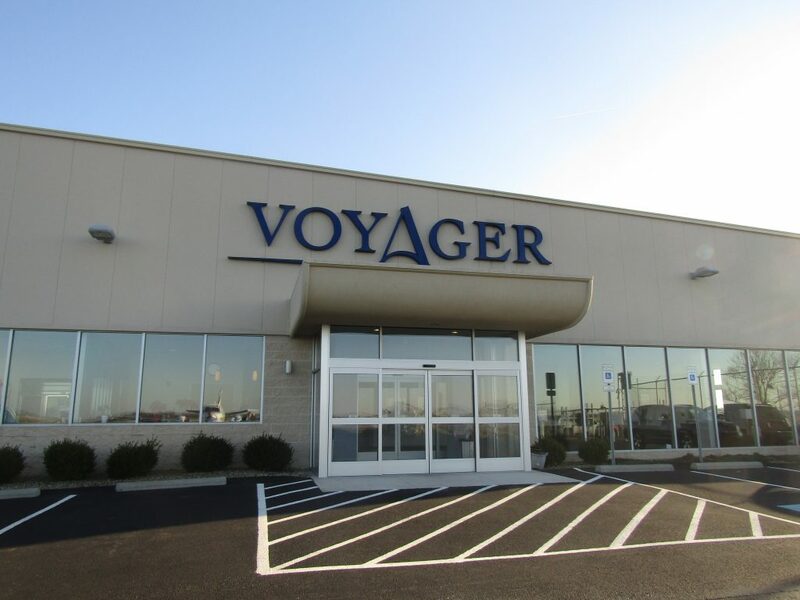 Voyager FBO was just as exclusive as the FBO in White Plains, further highlighting the difference from a commercial terminal. Instead of being greeted by a swarm of anxious passengers and an ever-roaring public announcement system, the atmosphere was calm and cozy. I had flown back to White Plains immediately following the outbound flight and was pleased to see I wasn’t the only passenger onboard. My flight mate was a retired businessman and former government official from Pittsburgh that in Westchester County. Although anecdotal, sharing a private aircraft made conversation easier than talking to a seatmate on a commercial flight. 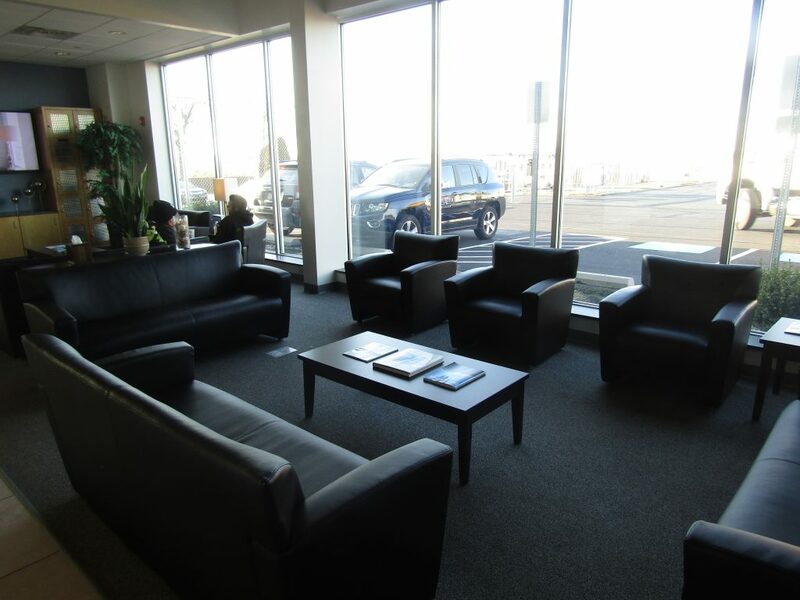 Talking with my fligh tmate about Fly Louie, he noted that the service has been invaluable to him as it allows to travel to his hometown more often without having to hike to one of the major airports and is glad to pay the additional premium to avoid doing so. Arriving back into White Plains, just after nightfall, I found myself relaxed. Normally, I dread landing at one of New York’s airports as it means the start of a new journey, getting home. In this journey, it often takes me longer just to get to my car than it does to drive home. Arriving back into White Plains, I was in the parking lot and at my car in what felt like a second and didn’t have to pay for the privilege. I almost couldn’t believe it. Although it took me an hour to drive home due to where I live, I could’ve been in the heart of New York City in approximately 30 minutes. Fly Louie is clearly one of the most unique airlines in the U.S., merging private aviation with marketable, scheduled service to provide unparalleled convenience to the traveler. From my journey, I can say that the experience is unlike any airline I’ve ever flown on. 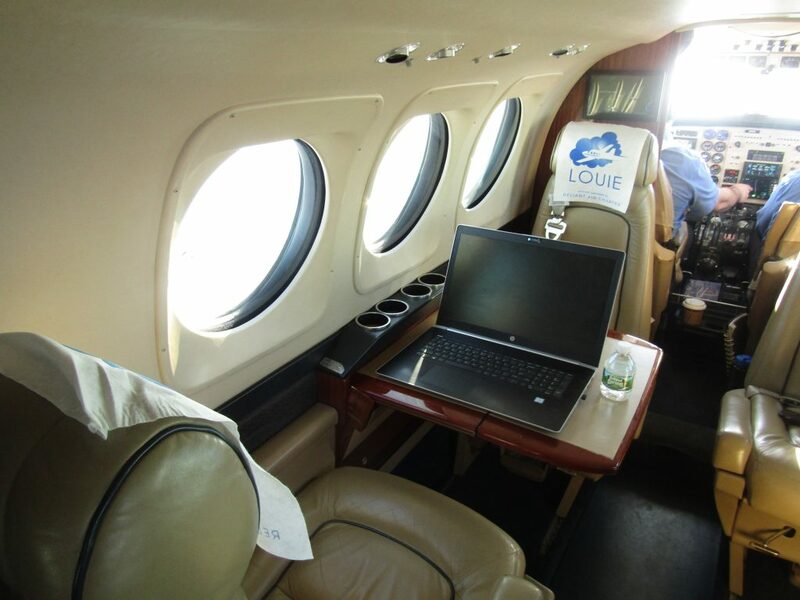 While major airlines can offer countless perks and amenities that Fly Louie can’t, none of them offer the experience of flying on a private aircraft and the convenience that comes with it. As far as practicality, I wasn’t as hopeful as I was before the flights upon seeing the load factors on two flights and the loss that the airline must have taken just to fly a total of two passengers that day out of 12 available seats flying between New York and Pittsburgh. However, the Pittsburgh route is still very new and the airline is still seeing success with its summer Nantucket service, which it is deciding on whether or not to extend into the fall due to its popularity. 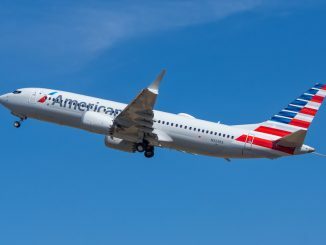 Although it doesn’t have any current expansion plans beyond Nantucket and Pittsburgh, I’d like to see the airline expand to larger cities such as Washington and Boston. Although flooded with service whether it be from shuttle service on the major airlines or the Acela Express, the convenience factor cannot be overstated and the airline only has to sell 6-8 seats per flight. As for Takeda, she’s shown that there’s still room for aviation entrepreneurship in this country, as long as one has fresh ideas and the drive to see them through. AirlineGeeks flew to Pittsburgh and back as a guest of Fly Louie.